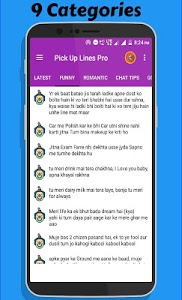 You can copy your favorite dialogue by just one click and share it via any messenger application. 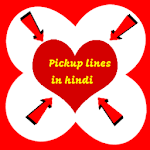 To view next pick up line click on the forward arrow. 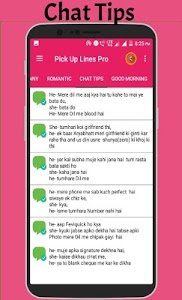 Pick up lines in hindi having amazing UI design. 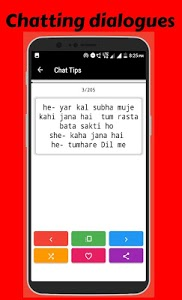 Original and unique dialogues is the quality of this application. 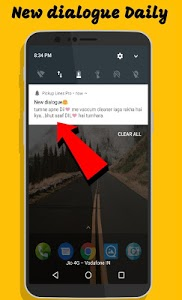 This app is offline so there is no need of internet connection for it and user do not need to find on internet because various types of dialogues are provided in it. You can also directly share dialogue to your friends via Whatsapp or Facebook. 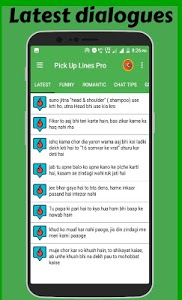 Similar to "Pick up lines in hindi"